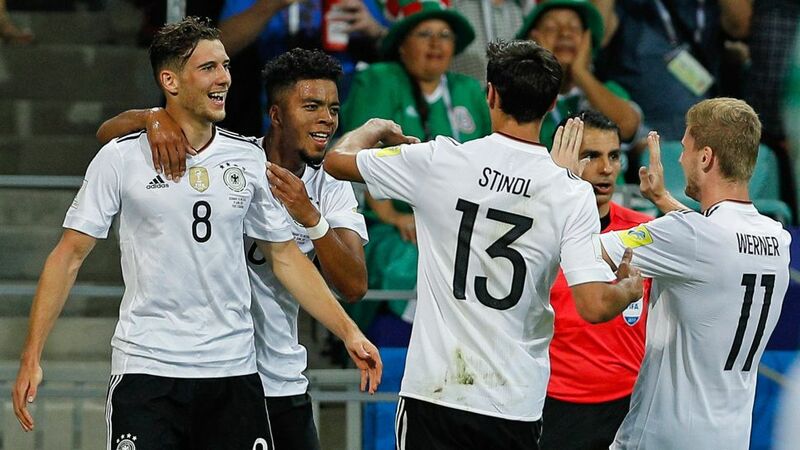 Bundesliga | Germany 4-1 Mexico Confederations Cup semi-final - as it happened! Germany 4-1 Mexico Confederations Cup semi-final - as it happened! World Champions Germany will play Chile in Sunday's Confederations Cup final after thrashing Mexico 4-1 in Sochi. Click here for a full list of all the Bundesliga representatives at the Confederations Cup!